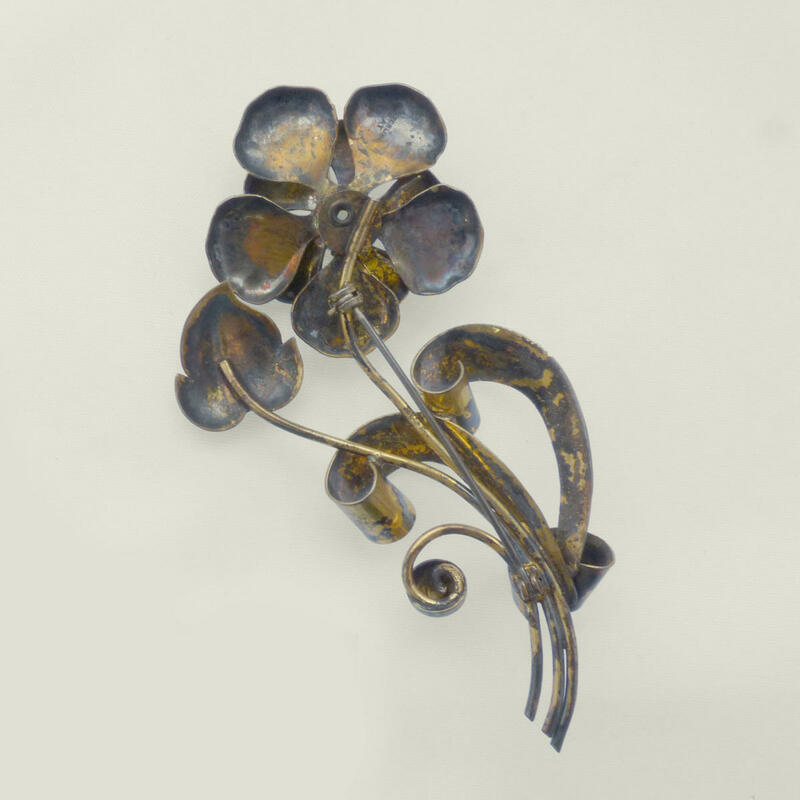 Striking gold washed vermeil brooch in polished and brushed silver. 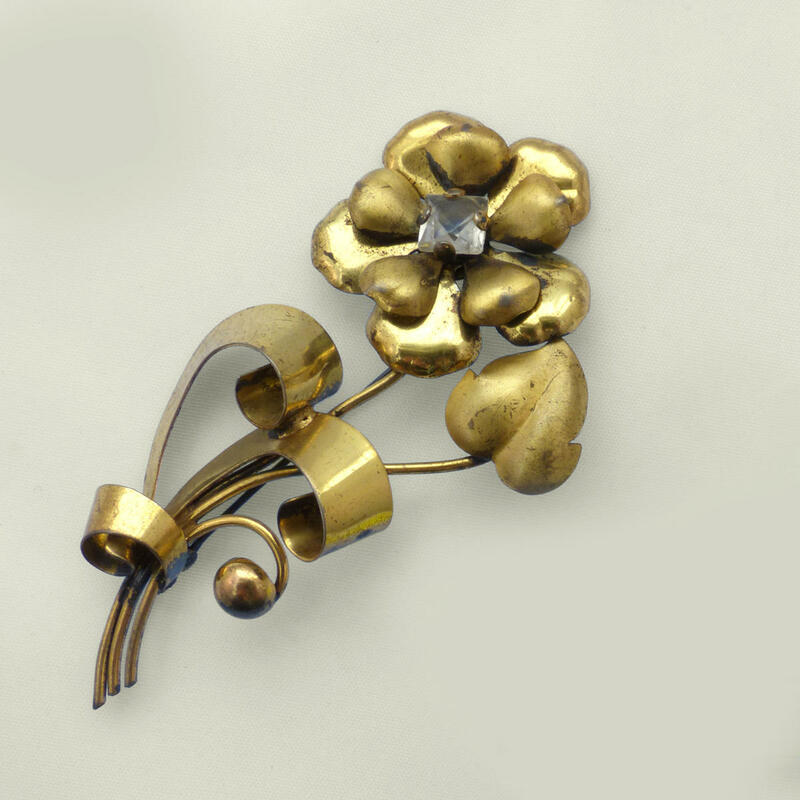 Highly sculptural and typical of late 40's American 'Retro' Jewellery. Signed 'AT' and marked 'Sterling'.